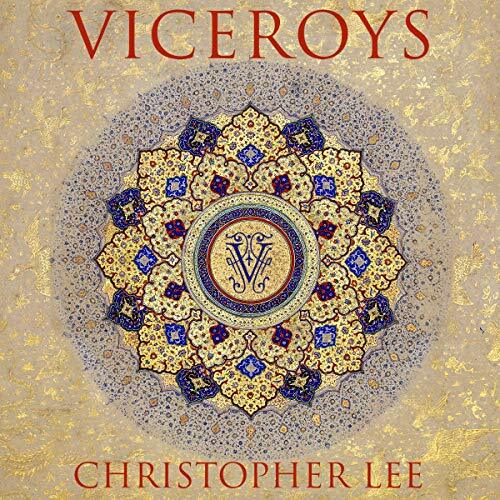 Viceroys is the story of the British aristocracy sent to govern India during the reigns of five British monarchs. It is also the story of how the modern British identity was established. British history from the Hundred Years War onwards gives an impression of how the British were seen. It is a misconception or, more kindly, a British view. Until the 19th century the British did not have an identity readily recognised throughout the world. Even the Elizabethans were never established other than as great individuals. From 1815, an image of Britain as the first superpower was built that would make do until even the 21st century. Direct rule in the name of a long-lived queen and the consequential superlatives of style and theatre of conquest had the whole world believing that it knew the secret of that British identity. To be white and British even at the lowest social level was enough to command and to be white, British and aristocratic was enough to rule. By the end of Victoria's reign a quarter of the world saluted the authority of the British identity. It took until the second half of the 20th century for even the Americans to question that authority. The token in that identity, the plumed viceroy whose quarterings linked everyone who held that office to the aristocracy that was the guardian of that image, is not just an illusion. Viceroys is not a chronological biography of each viceroy from Canning to Mountbatten. It is instead the story of the viceregal caste. It is the supreme view of the British in India, describing the sort of people who went out and the sort of people they were on their return. It is the story of utter power and what men did with it. Viceroys will come to a conclusion as to what created the international identity of the British that was cherished well into the 20th century. It was and is an identity that has coloured in the worst pictures of the British character and ambition as seen by modern radicalised people and loyalties around the globe. Ironically, it is in part the answer to how it was that on such a small offshore European island, people believed themselves to have the right to sit at the highest institutional tables and judge what is right and what is unacceptable in other nations and institutions. I enjoyed this but would have liked more depth and detail. As a very brief introduction to the subject it’s good but could have been longer and done more than simply give an overview of each Viceroy’s time. I had trouble following the narrative, with loosely connected facts being interspersed throughout a roughly chronological structure, and sometimes an assumption of knowledge that I didn't have. Nonetheless, I still finished what is a very interesting area.